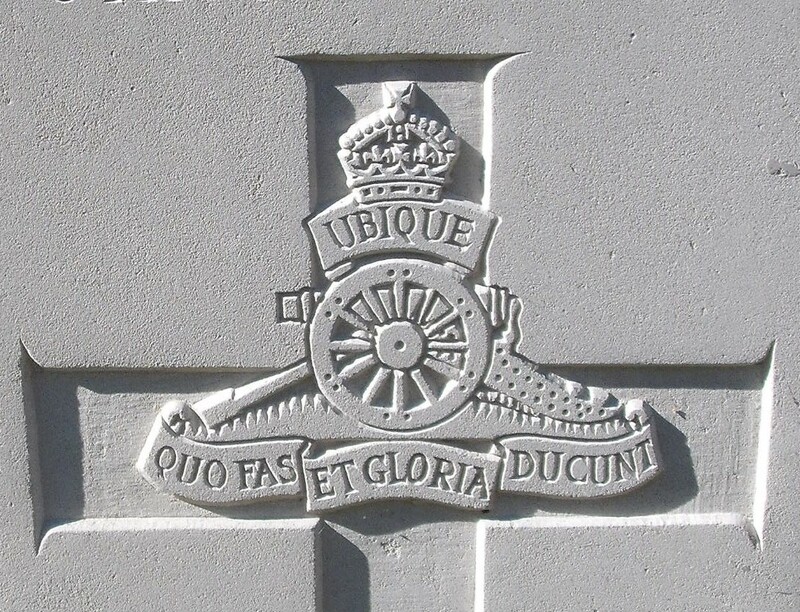 2nd South Midland Brigade, Royal Field Artillery, T.F. Edward Lyon Marchant was born in Upper Howsell, Malvern in 1894, the son of George and Rachel Marchant of Eastham Place, Yates Hay Road. A plumber by trade, Edward was employed by Mr C A Burston of Malvern Link. in February 1912 he joined the Territorial Artillery – the 2nd South Midland Brigade whose Ammunition Column and half a battery were based in Malvern. Marchant attended annual camp in 1913 and was embodied at the outbreak of the First World War. However he was found to be medically unfit and was discharged from the army on 18th September 1914. However in December 1915, Edward enlisted under Lord Derby’s Scheme, was accepted and placed on the Army Reserve. By this time he was married, living with his wife Edith at Eastham Place, Upper Howsell, near his parents. He attended a number of medical boards, all of which found that his rheumatism would prevent him prevent him from being called up. He was discharged once again and exempted from military service in May 1917. He was given a Silver War Badge to avoid the accusation that he was “shirking” his duty. In September 1916, his brother William, who had served with the Royal Army Medical Corps since the outbreak of war, drowned in Mesopotamia. Sadly, Edward’s health broke down after the war. He died in Malvern General Hospital on 1st November 1923, leaving £728 to Edith and to Horace Harford Foster. He was buried at St Matthias Graveyard and is commemorated at St Matthias Church, Malvern Link.